Despite the latest advancements in the cosmetics industry, the quality of many mass-market beauty products leaves much to be desired. Synthetic ingredients in cosmetics often cause irritation, allergic reactions and other problems. That is why natural and organic cosmetics are becoming increasingly popular these days. Such beauty products are highly effective, they are made with natural ingredients, don’t contain synthetic components and are completely safe for your health. Natural cosmetics are produced under the strict supervision of international certification organisations such as BDIH, NATRUE, Cosmebio. To be certified as natural, beauty products must contain natural ingredients (both organic and mineral), undergo comprehensive clinical trials, not be tested on animals. Natural cosmetics production must by no means harm the environment. Organic cosmetics production standards are even stricter. Organic beauty products must contain at least 95% organically produced plant-sourced ingredients (excluding water and salt). They must be environmentally friendly, cruelty-free and ECOCERT or ICEA certified. Organic cosmetics don’t contain petrochemical products as well as synthetic colourants, preservatives or fragrances. 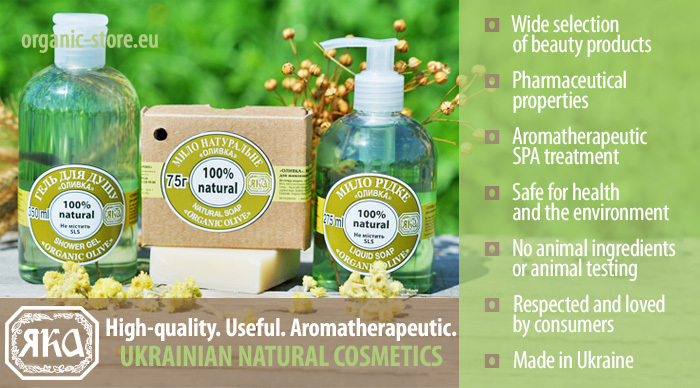 If you want to buy natural or organic cosmetics, check out our product catalogue! 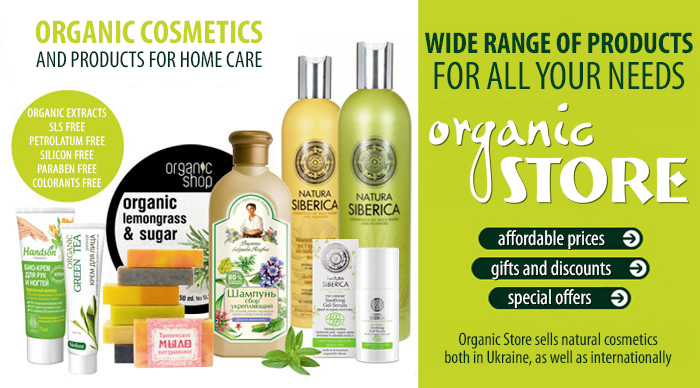 Organic Store presents to you cosmetics and household products by leading brands from Ukraine, Russia, Poland, Lithuania, Hungary, India, Italy, Thailand and the US including (but not limited to) Baikal Herbals, Cococare, Crystal, Dr. Sante, Grace, Himalaya Herbals, INSIGHT, Kallos Cosmetics, Natura Siberica, Organic People, Organic Shop, Planeta Organica, Parachute, Ringuva, YAKA and others. Our online shop for natural and organic cosmetics and household products Organic Store offers a wide selection of products, affordable prices and convenient payment and delivery methods. And shopping on Organic Store is very easy. All you have to do is add the products you are interested in to shopping cart and place your order! Join us in exploring the world of the most effective and completely safe beauty products that might change your view of affordable cosmetics.